Do not be surprised if the appearance of this car seems familiar to you. You could well see it in the BBC series "Life On Mars" and in many other movies, where the action takes place in the seventies. It is no wonder, Ford Cortina MK3 was one of the most popular and the best selling cars in Britain. 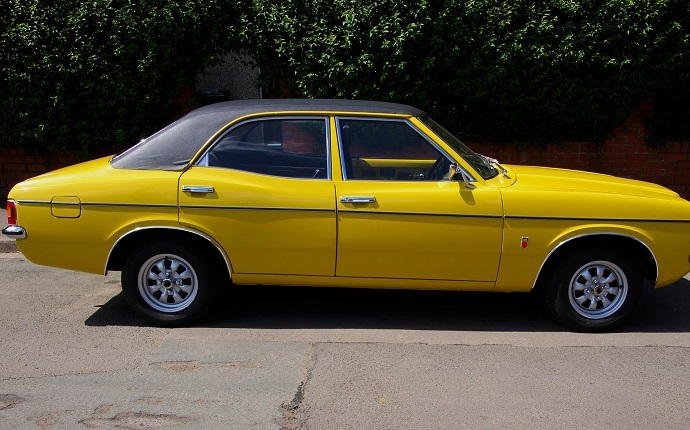 It was produced from 1970 till 1976 by the unified European Ford. Although its design was greatly influenced by American models, the car is a European one. It wasn't sold in the USA. Ford offered comfort and glamour in this mainstream car range. The car had a lot of modifications: 4- and 2-door sedans, Kent engines 1.3 and 1.6, 1.6 and 2.0 engines of the Pinto family, several trim levels. It was rather easy to drive, but it suffered from considerable body roll and a very soft suspension setup. That's why Ford Cortina MK3 was popular as a motorway car.